A specification regarding different titanium grades is encountered in almost every titanium product description that manufacturers and distributors make available when presenting a new titanium applications. Commercially pure titanium, aerospace and aircraft grade titanium, ASTM Grade 23 with diminished oxygen content are bundled together on the packaging the products are delivered with and sometimes they are more bolded than the product price tag and main description. And though it is clearly implied that this specification should mean something, it is my personal belief that there are few, if any, customers that are metallurgy savvy enough in order to infer of what impact the different titanium grades have on the quality or reliability of the product they are about to pay for. 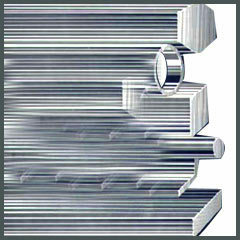 Classifications of the alloys as titanium grades become necessary with the great development of titanium uses and with the rapid evolution of different titanium alloys in order to provide a common language across titanium production cycle for refiners, smelters, fabricators and recyclers alike. The "American Society for Testing and Materials" maintains this list, and the usual designation of titanium alloys is “ASTM Grades”. You can use this list in order to better understand the exact properties of titanium that is used in the products you’re going to buy. If something is marketed as pure titanium, you can easily verify if its ASTM grade designation is in the 1 through 4 ranges. If you’re looking at a piece of titanium jewelry and determine that it’s made of titanium grade 5, you can easily understand that it’s not pure titanium, but rather the widespread TI-6Al-4V alloy – commonly referred to as “aero-space grade). Nothing is wrong with that, but you usually don’t need anything THIS strong.